Our top-selling anthem in 2011 is now available as a vocal solo! 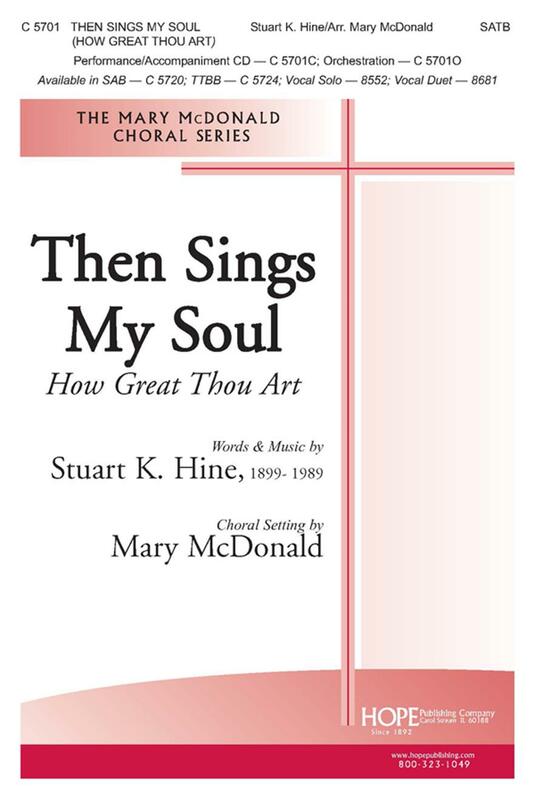 Inspired by what is considered to be one of the greatest hymn texts of the 20th century, Mary McDonald has crafted an exceptional, new anthem for SATB choirs. Then Sings My Soul - 3-5 Oct HB Accomp.